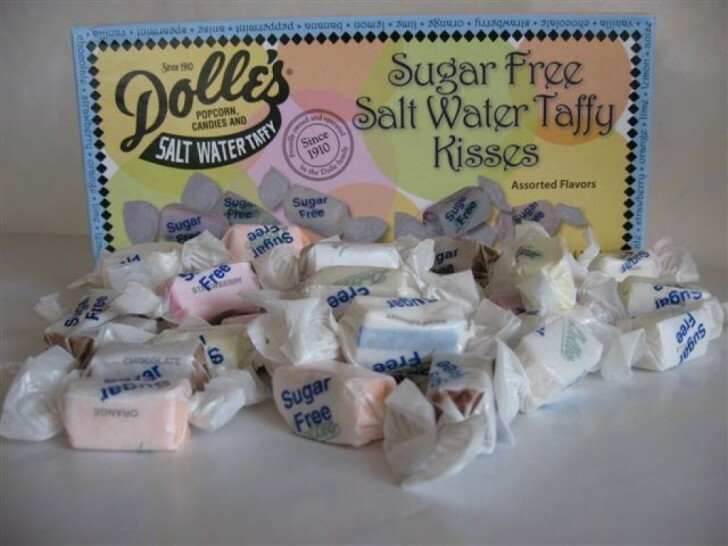 Our Sugar Free salt water taffy is made using the same attention to detail as our regular taffy. Flavors include strawberry, vanilla, chocolate, orange, lemon, lime, anise (black licorice), peppermint and spearmint. Hydrogenated starch is used to replace the corn syrup and sugar. A chewy, soft, gluten free pulled taffy.